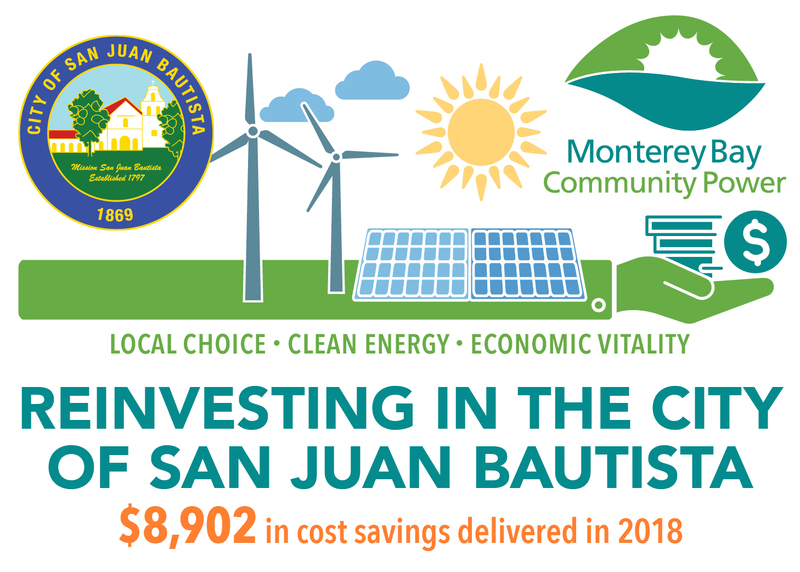 The City of San Juan Bautista is proud to announce that its enrollment with Monterey Bay Community Power has resulted in a savings for our residents and businesses of $8,902 in 2018, and a total of $4.4 million in cost savings across the Monterey Bay region with more to come in 2019. We are excited to take part in cleaner energy at a saving for our community. San Juan Bautista Council Member John Freeman is currently a member of the Monterey Bay Community Power Board of Directors. For more details, see the MBCP 2018 Year in Review.